August 24th in Plugin Lists by Wordpress Jedi . Temporary Download Links: lets you create non-direct download links to any file in your media library. These links automatically expire after a certain # of downloads or your specified period. 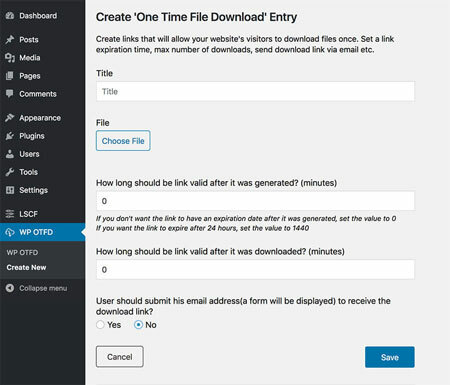 WP One Time File Download: this plugin lets you create unique download links for your files. You can set link expiration time after file downloads. Lets you create an unlimited number of links. 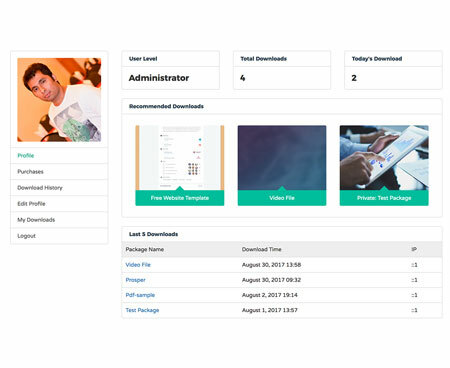 WordPress Download Manager: allows you to manage, track, and control file downloads on your site. You can put a limit on download count per user or limit downloads by speed. Have you found better temporary download managers for WordPress? Please share them here.